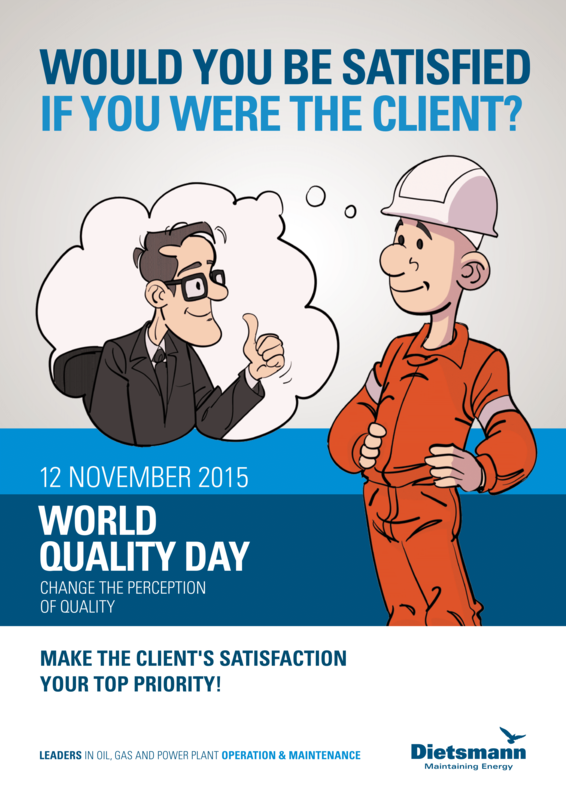 In 2015 the WQD quality awareness campaign put the emphasis on making the client’s satisfaction everyone’s top priority. 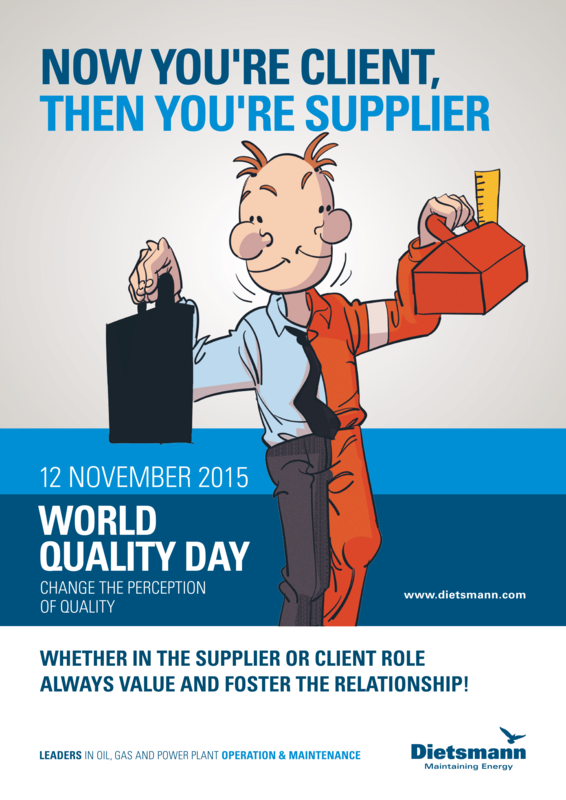 Campaign objectives included valuing and fostering relationships, whether in the supplier or client role, and always documenting delivered work with clear, relevant, reliable, trackable information. 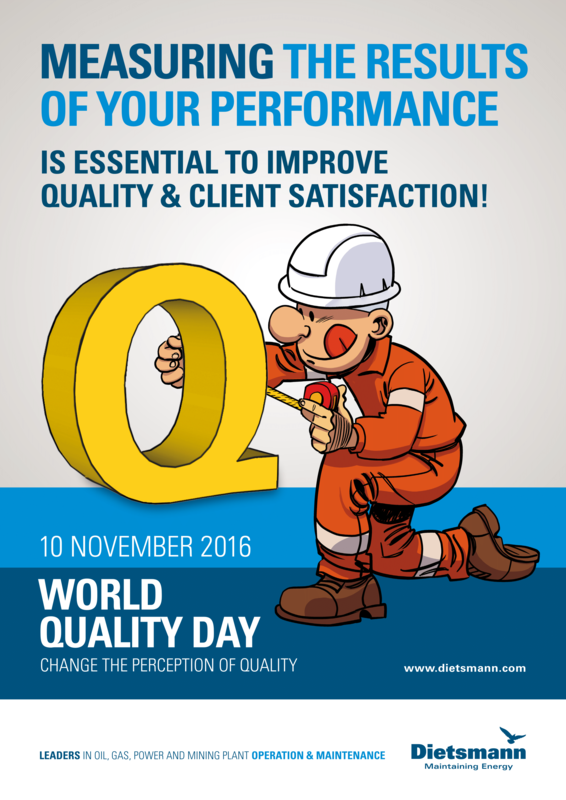 In 2016 the WQD quality awareness campaign focused on improving service quality and client satisfaction by measuring the results of every individual’s performance in order to provide a basis for further improvement (only what is measured, can really be improved). 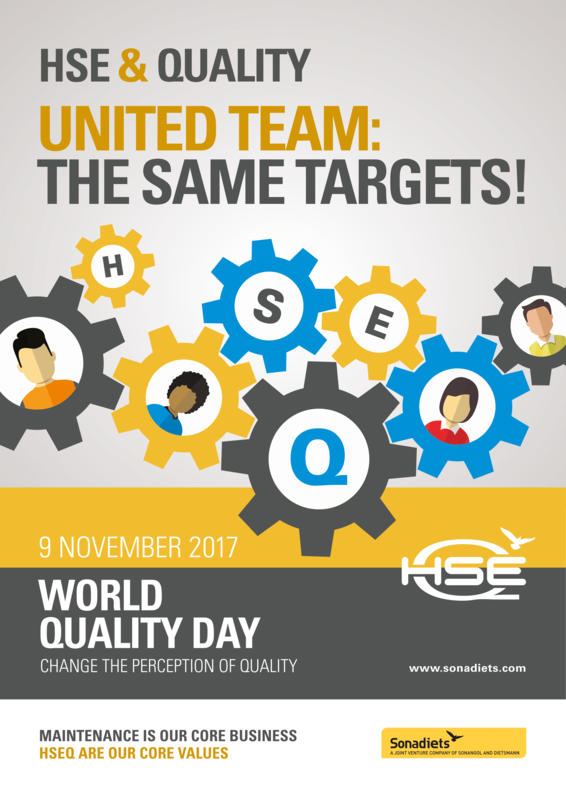 In 2017 the WQD quality awareness campaign was based on the synergy between the Quality Management System and the HSE Group Management System. 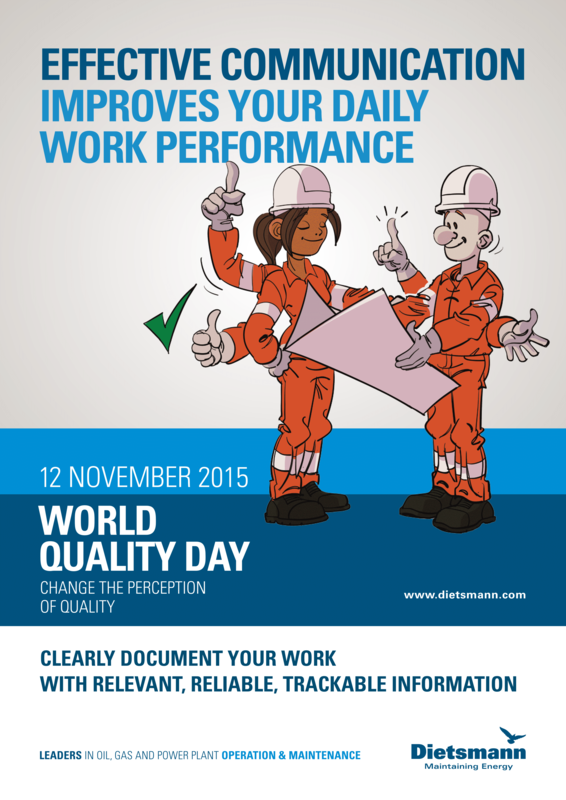 In Dietsmann this synergy was created by merging the HSE and Quality departments into a single structure – Group HSEQ.